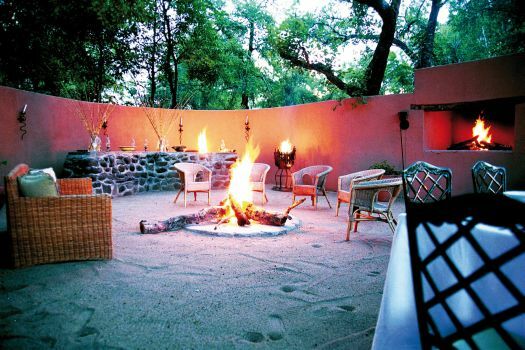 South Africa has a wide range of safari experiences, including some fabulously romantic experiences at wonderful lodges that choose to exclude electricity and preserve a romantic and authentic bush-safari atmosphere. There’s nothing quite like the glow of lamplight and the flicker of candles to create romance and the spirit of a true safari. 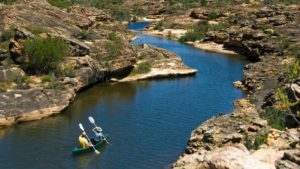 Exclusive Getaways offers two fabulous choices for authentic, electricity-free safaris in South Africa. 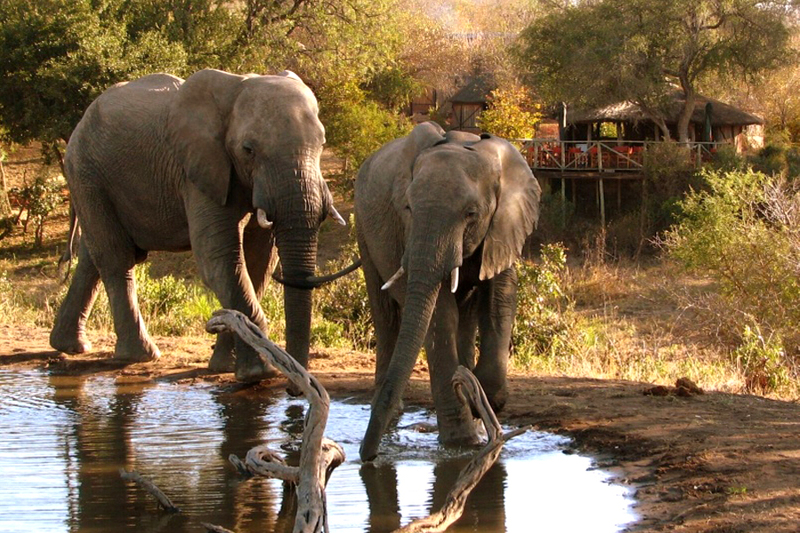 ‘An authentic bush experience since 1964’, is what the fabulous Notten’s Bush Camp is all about. 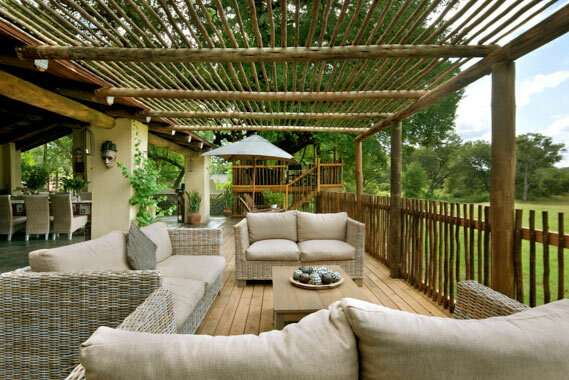 Notten’s Bush Camp holds rank as one of South Africa’s very first private game lodges, rubbing shoulders with the great pioneers of private safaris in South Africa. It has pride of place in the Sabi Sand Reserve, a region well endowed with wildlife and forming part of the greater Kruger National Park. The Notten’s experience is well-notched on the ladder of luxury, but in the absence of electricity, it’s also in keeping with the “real” safaris of yesteryear. The Notten’s family are hands-on at the lodge, which keeps things heartily warm and welcoming.There’s never a dull moment in the bush at Notten’s. ‘Wild Dog kill attracts hyena and leopard’, ‘carnivores feed well and the little ones come out to play’, ‘herds of elephants all over’, and so on … The Notten’s Diary is alive with sightings, and that’s what life is all about when you’re there on safari. Exciting safari drives take place twice a day in the Sabi Sand, and you can also go out on some brilliant bush walks with your guide. 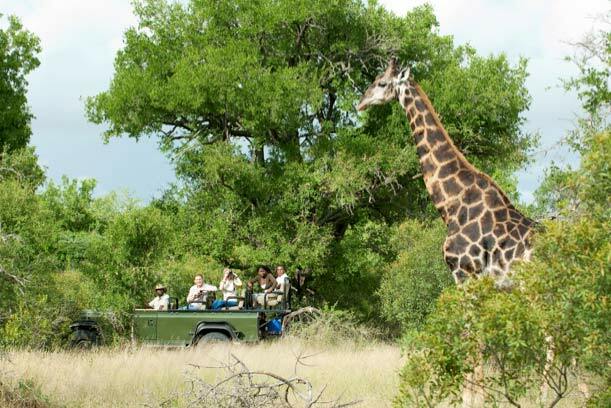 Additionally, Notten’s offers a tour into the Kruger National Park. Stand by for this, you may see a pod of hippo or some crocodile bank-basking beside the Sabi River. The magical atmosphere at Notten’s is due, in part, to the purposeful exclusion of electric lighting. Instead, candlelight and lanterns create enchantment and an unmistakable spirit of romance. The private suites are large and spacious, and cooled by ceiling fans. It’s ultra-special taking a candlelit bath at night, after a fabulous dinner around a blazing fire. Electric lighting becomes irrelevant when there’s all this to enjoy. And there’s no need to worry, because there are periods each day during which facilities are provided for recharging camera equipment. What else is on offer at Notten’s? Enjoy a golf trip to the Skukuza Golf Course, 45 minutes away from the camp. Sharpen the focus and do a bird watching or photographic safari. Umlani Bushcamp is another great option for people in search of an authentic bush experience in South Africa. 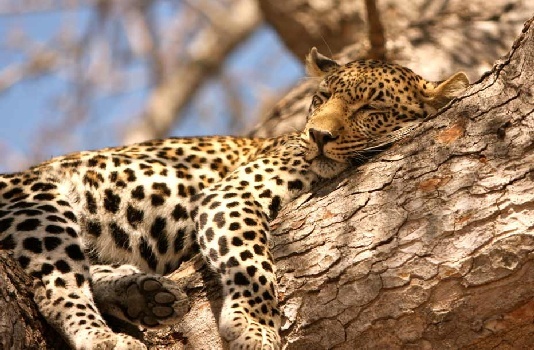 Situated in the Timbavati Game Reserve in Limpopo, Umlani offers a rewarding Big Five safari while retaining an easygoing, rustic atmosphere in camp. Authenticity and romance is kept alive by the absence of electricity. 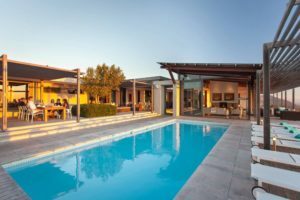 Ten traditional reed and thatch huts provide comfortable bush pads, the beds equipped with mosquito netting and the bathrooms with standard amenities. Outdoor showers are a great way to freshen up in the wilderness! 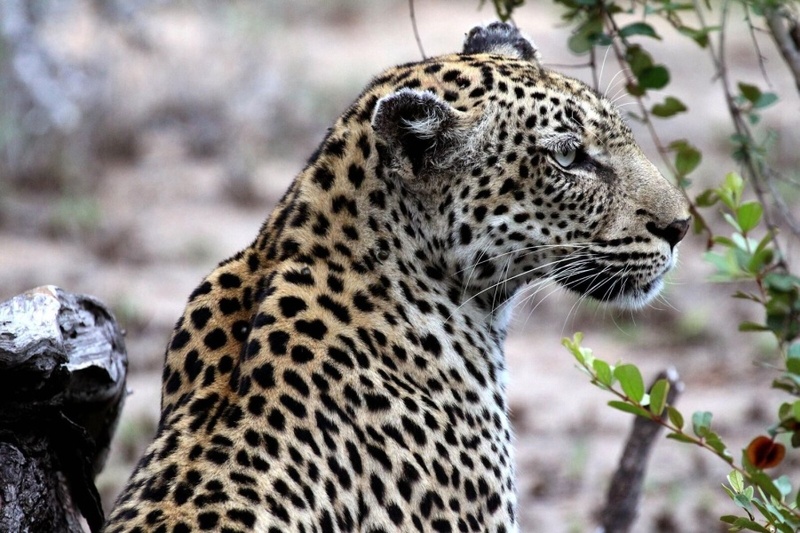 Without fences preventing the movement of animals between the Timbavati and the Kruger National Park, wildlife viewing on 10 000 hectares is excellent for guests staying at Umlani Bushcamp. 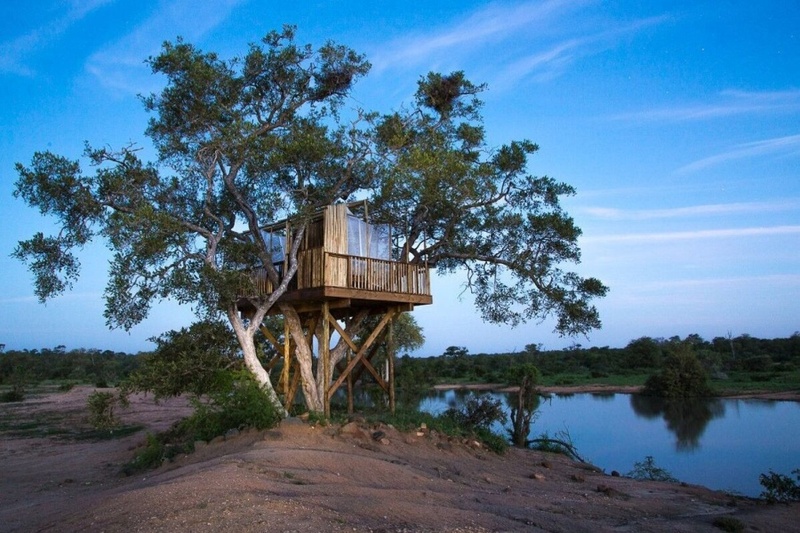 For a memorable, close-to-nature experience, Umlani also offers optional bush sleepouts in a treehouse situated 1.5 km away from the lodge. Rates, Availability & Online Bookings at Umlani Bushcamp. 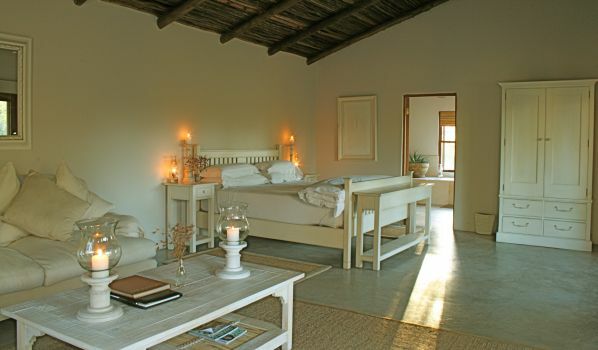 Mail us for a reservation or further information, or call +27 21 797-7122 (international) or 0860 102 907 (local).